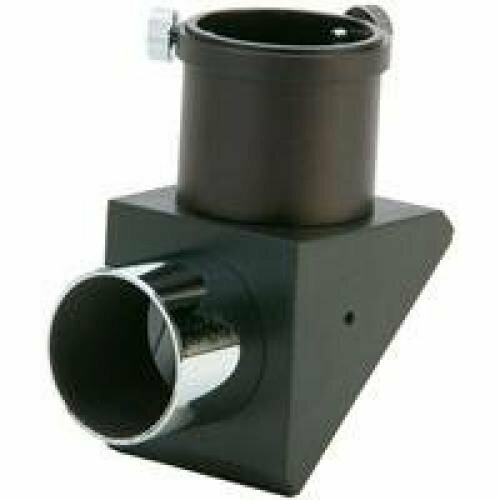 The Celestron 1.25" Star Diagonal slides into the focuser (1.25") of your refractor or catadioptric telescope and accepts standard 1.25" eyepieces, allowing you to view objects more comfortably. A diagonal that is angled at 90º helps avoid neck strain when looking through through the eyepiece. Please note that a 90º diagonal will display images that are right side up, but left to right orientation will be reversed. View More In Telescope Accessories. If you have any questions about this product by Celestron, contact us by completing and submitting the form below. If you are looking for a specif part number, please include it with your message.